Septic arthritis is a diagnostic and therapeutic emergency because of a high morbidity and mortality. Nevertheless, the etiologic diagnosis is often difficult. The aim of our study was to determine if serum procalcitonin was a discriminatory biomarker in case of arthritis of undetermined etiology. Patients were separated in five groups: gouty arthritis, calcium pyrophosphate deposition arthritis, osteoarthritis or post-traumatic arthritis (“mechanical” arthritis), chronic inflammatory rheumatic arthritis, and septic arthritis. Levels of serum white blood cells, C-reactive protein and procalcitonin were measured. Ninety-eight patients were included: 18 in the “gout” group, 26 in the “calcium pyrophosphate deposition arthritis” group, 16 in the mechanical group, 18 in the “chronic inflammatory rheumatic” group, and 20 in the “sepsis” group. The area under the receiver operating characteristic curve of white blood cells, C-reactive protein, and procalcitonin levels to diagnose a septic arthritis were 0.69 (IC95% 0.55–0.83), 0.82 (IC95% 0.73–0.91), and 0.87 (IC95% 0.76–0.98) respectively. For a cutoff of 0.5 ng/ml, procalcitonin sensitivity, specificity, positive predictive value, negative predictive value, positive likelihood ratio and negative likelihood ratio were 65%, 91%, 65%, 91%, 7.2, and 0.4, respectively. 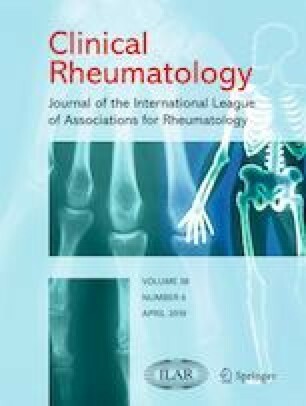 Serum C-reactive protein and procalcitonin levels were correlated, were not different in sepsis or gout groups, and were higher in non-septic arthritis with poly-arthritis than with mono-arthritis (p < 0.05). Serum procalcitonin is a useful biomarker in arthritis management with diagnosis performances higher than those of other biomarkers (white blood cells, C-reactive protein). • Diagnostic performances of serum procalcitonin level in septic arthritis are higher than those of serum C-reactive protein or white blood cells levels. • Serum procalcitonin levels are not different in septic arthritis or gouty arthritis. • Serum procalcitonin levels are higher in non-septic arthritis with poly-arthritis than with mono-arthritis. The authors thank Mr. Marc Puyraveau, statistician, for his help about statistical analyses. Since PCT evaluation is a regular procedure in front of sepsis in emergency room, no specific ethical procedure was required. Nevertheless, informed consent was obtained from each patient.